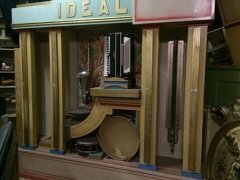 Orgue Mortier Orgel op Philips:Medleys: 9-13 en 20. Groote Orgels Mortier: Sondor 7014. 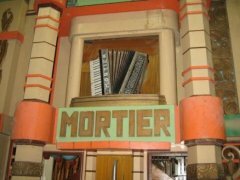 Marcel Troost is looking for cassette tapes in good condition with music of Belgian or French organs, preferably new tapes as could be bought in shops or from organ builders. For more information: contact Marcel on +31 (0)341 41 73 22. 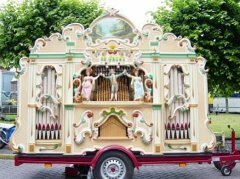 For his 72-key pipe organ "Kapelleke" (on 72-key Decap scale) Jeroen Wagemakers is looking for used organ books. 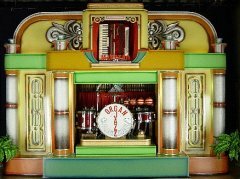 I'm looking for used organ books for my 92-key (pipe) organ "De Zeegalm", system Decap Antwerp. 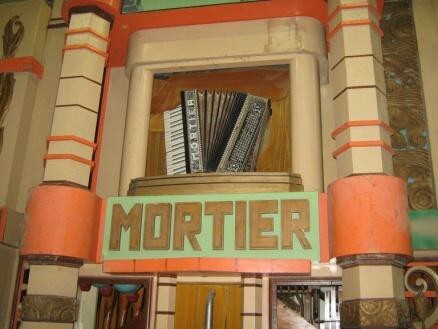 If you have any old photos of Mortier organs, please contact me! I'd like to scan them for you so I can share them on my website so everyone can enjoy them. The scanning would, of course, also have archival purposes. Peter van Gramberen is offering a Steck-pianola for sale. The instrument, which was restored in 2010, comes with more than 150 rolls. Aurélie Besloin from France (Parisian region) sells 1000-1500 piano rolls from the following manufacturers: L'EMP, THEMODIST, THE AEOLIAN, AEOLIAN GRAND, AEOLIAN COMPANY. 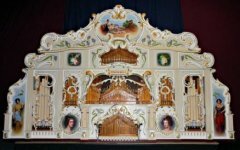 HAND PLAYED, PIANOLA AEOLIAN, PM, PRINCESA, OPERA PARIS, BEST, IMPERIAL LINENIZED, SOLODANT, PHONOLA, ODEOLA. Sold preferably in lots of 10 or more (asking price: € 25,00 per lot; lower price when you buy more). International shipping is possible (a.o. via Mondial Relay). Free to collect: roll playing piano by Lucien Oor, Brussels; restoration project or for parts, is complete. About 60 piano rolls; all in one lot for € 90,00. 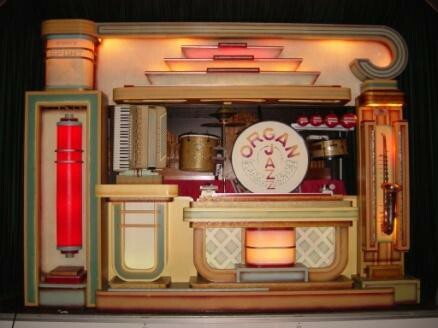 Hammond organ can be played separately. 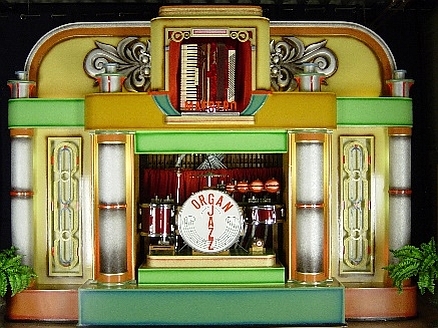 56-key Th.Heesbeen street organ "De Grüne". 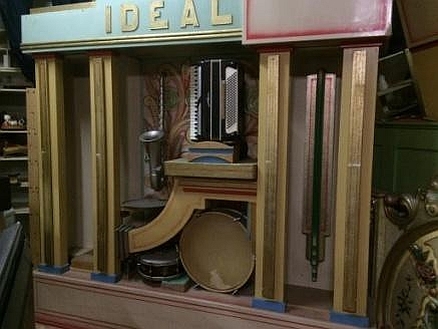 52-key Bursens accordeon organ "Ideal". 72-key Th.Heesbeen dance organ "Maestro". You can find more information on the instruments offered for sale in this pdf-file. 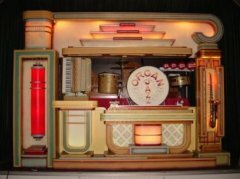 You can also watch some movies of some of the organs offered for sale on YouTube. For more information: contact Maria Heezen in The Netherlands on +31 (0)6 228 534 73. Grand player piano with ± 140 rolls V.Gevaert "Humanola". Asking price: € 1500,00.